Charles "Chuck" Wiedman, 81, of Antwerp, passed away at home Monday, June 18, 2018. Chuck was born in Fort Wayne on May 23, 1937 a son of the late Ben & Emiley (Reed) Wiedman. He shared 58 years of marriage with Ann Derck since their wedding on Nov. 14, 1959. He was a lover of classic cars, restoring numerous cars in his lifetime but his 1936 Dodge pickup was his pride and joy. Chuck retired from Antwerp Local Schools after 35 years of service, he attended the Antwerp United Methodist Church. He will be sadly missed by his wife, Ann; children, Tom (Cathy) Wiedman, daughter, Lori (Jeff) Eby & Dan Wiedman; grandchildren Tina Fogle, Hollie Stroble, Jessica Albertson & Austin Eby; 9 great grandchildren & 1 great great grandson. Also preceding him in death are his siblings, Ralph & Frank Wiedman & Doris Nieb. Service is Friday, 11 am with viewing one hour prior at Dooley Funeral Home, 202 W. River Street, Antwerp Ohio. Viewing is also Thursday, 4 - 7 pm at Dooley Funeral Home. Memorials are to Community Health Professionals. With a journey that spanned times of war and times of peace, times of plenty and times want, Charles "Chuck" Wiedman lived to the fullest each day. He was hardworking and diligent, and through his work he was an important part of his community. Chuck was deeply devoted to the family he shared with the love of his life with whom he shared 58 years. Although he accomplished so much of which to be proud, he was a humble man whose greatest source of pride and joy was found in his children, grandchildren, great-grandchildren, and great-great-grandson. Deeply loved, Chuck will never be forgotten. The 1930s were a time unlike any other in American history as the entire decade was cloaked in the hardship of the Great Depression. Jobs were hard to find, which meant that countless American families lost their homes in the process. Amidst this eventful time was a time of great joy in the lives of Ben and Emiley (Reed) Wiedman as they were pleased to announce the birth of the baby they named Charles on May 23, 1937. Born and raised in Fort Wayne, Indiana, Chuck was the youngest of four children as he was joined in his family by his older siblings, Frank, Doris, and Ralph. To support their family his parents were laborers in a local factories. In many ways Chuck was a young boy who was typical for the youth of his generation. He was a Boy Scout who especially loved taking part in the soapbox derby. His love for cars began during his younger years as he loved drag racing, car racing, and restoring classic cars as a teen. Chuck’s pride and joy was found in his 1936 Dodge pickup. Later in life Chuck ran car shows, which included those at Antwerp Days for his town festival. When he was just 21, Chuck moved from Indiana to Ohio. It was his love for racing that prompted the move since he was no longer able to hold an Indiana license due to his street drag racing but he could become a licensed driver in Ohio. This proved to be quite fateful as it was there that he met the love of his life. Her name was Ann Derck, and they met at the A & W Root Beer Stand in Antwerp as she was working there as a car hop. Ann joked that he was always a good tipper! One thing led to another, and they began dating. It wasn’t long before the couple fell deeply in love. With a desire to establish a life together Chuck and Ann were married on November 14, 1959, in a small, private ceremony in Roanoke, Indiana. Together they welcomed three children, Tom, Lori and Dan, into their hearts and home. As a family they enjoyed memorable trips to Disney World and the Daytona 500. Although Chuck took his roles as a husband and father to heart, he was so thrilled to become a grandfather and great-grandfather later in life. More recently, he enjoyed the companionship of Lillie the cat. Throughout his life Chuck was known for his strong work ethic in everything he did. He spent 35 years working as the school bus coordinator for Antwerp Local Schools before retiring. 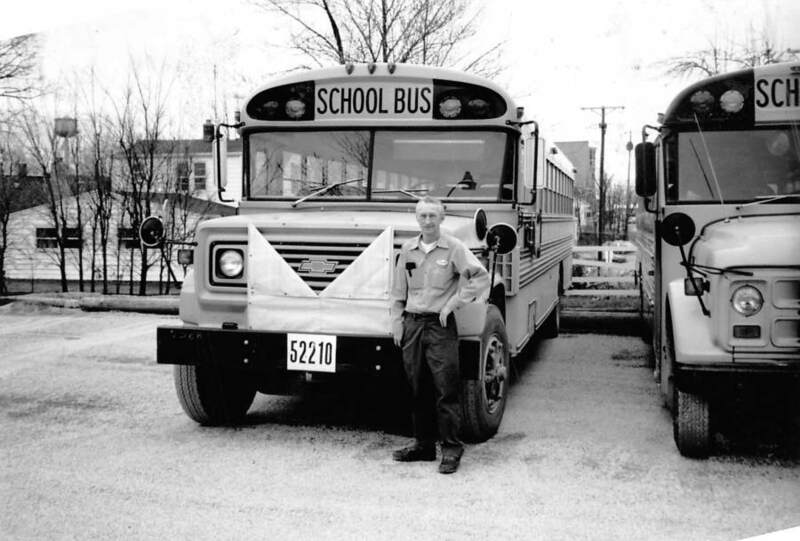 Chuck also drove school buses and was an auto mechanic as well. As a lover of classic cars, he restored numerous cars in his lifetime, but as his family and friends can attest his 1936 Dodge pickup was his pride and joy. Chuck was inducted into the Hall of Fame at Steuben County Indiana Raceway. He loved his original Big Boys Toys car club and never missed a NASCAR race. For years Chuck attended Antwerp United Methodist Church. When it came to music, he was a country music fan. All who knew Charles "Chuck" Wiedman would agree that he was truly one of a kind. He was genuine, generous, and able to see the good in everyone. Chuck was a family man through and through, and he was happiest when surrounded by his friends and loved ones. He leaves behind a brilliantly colored mosaic of memories that his loved ones will forever hold near and dear to their hearts. Charles "Chuck" Wiedman, of Antwerp, passed away at home Monday, June 18, 2018. Chuck’s family includes his wife, Ann; children, Tom (Cathy) Wiedman and Lori (Jeff) Eby & Dan Wiedman; grandchildren, Tina Fogle, Hollie Stroble, Jessica Albertson & Austin Eby; 9 great grandchildren & 1 great great grandson. Chuck was preceded in death by his siblings, Ralph & Frank Wiedman & Doris Nieb.